The Higher Education Act of 1965 (HEA), as amended, requires institutions participating in federally-funded financial aid programs to make information about the institution available to the public, current and prospective students, current and prospective student loan borrowers, and current employees. 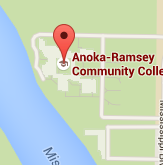 This webpage contains a comprehensive list of sources of information for students, employees and the college community. The U.S. Department of Education requires colleges to disclose a variety of information for any financial aid eligible program that “prepares students for gainful employment in a recognized occupation”. 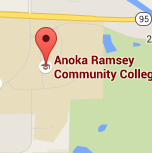 This page lists all Anoka-Ramsey Community College programs that are required to disclose Gainful Employment information and links to that Gainful Employment Disclosure information. The Minnesota State Strategic Performance Metrics monitor the performance of the Minnesota State colleges and universities system and each member on selected key measures. The metrics are designed as a tool for the Board of Trustees, institutions, policy makers and the public. This information is used to improve our service to students and the citizens of Minnesota. These measures include information on student success, affordability, diversity, efficient use of resources and development of new resources. Available on both campuses at the student activity office.